The market for voice-enabled home devices is overwhelming over console technology due to three IT giants – Apple, Google and Amazon. From news reports, asking dumb questions, playing music, to begging them to turn off the lights; their voice enabled technology and devices in the form of voice assistants take care of everything. Voice enabled assistants like Amazon Echo Alexa are adding functionalities all the time leveraging Alexa App/ Skill development, making them appealing for customers who are not early adopters. 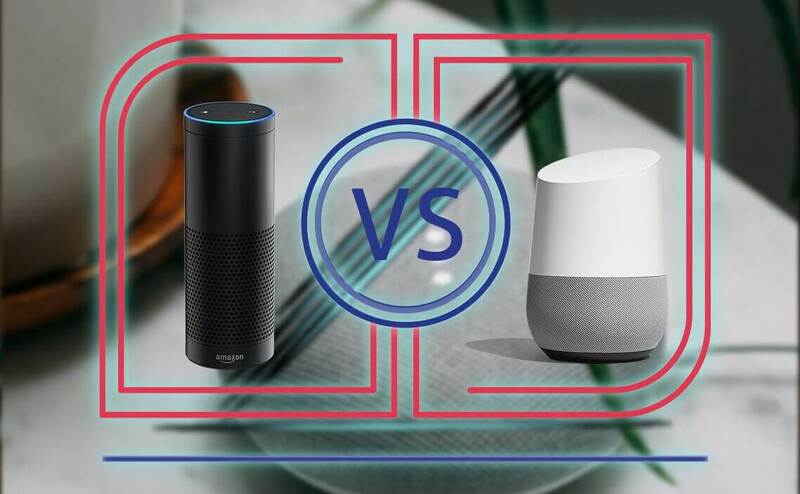 If you are planning to buy one you are the most likely to compare, Amazon Echo vs Google Home, the two unmistakable brands making these devices. Is one better than another? Do they offer different things? Before you buy, you need to know about it to choose the ideal smart speaker for your home. 43 million Americans own a smart speaker like Amazon Alexa or Google Home. This is 18% of the adult population, in just 2+ years of existence. 61% of new smart speaker (Amazon Alexa, Google Home) owners have encouraged their friends to purchase a device. The power of word of mouth in action. Amazon Echo and Google Home seem to do many similar tasks. Both are always listening, both can respond to voice commands, both can stream music. Both streams Pandora, TuneIn and Spotify, but Amazon offers IHeartRadio, while Google works with Google Play Music and YouTube Music. Both offers Honeywell, Nest, WeMo, SmartThings, Logitech and more. If you are hoping to connect your device to other devices. It is worth looking at the list of partnerships for Amazon Echo and Google Home to see which can help you better. Google Home and Amazon Echo, both voice enabled devices can help you with various tasks, such as checking what is on your calendar, tracking flight or shipment, ordering food, making a shopping list. Since Amazon has been in the market longer than Google Home, it seems to perform more tasks. On the other hand, Google Home works well with Google apps, such as calendar, routes and more. Amazon Echo can order things from Amazon Shop, although struggles to help with product reviews. Google Home can be an add-on if you are Chromecast user – It can help you control TV, play YouTube Videos, or shows on Netflix with your voice commands. You can also play, pause, rewind, fast-forward with your voice. Google’s Home can also help you make calls for free VoIP. While Amazon’s Echo can make calls to other Echos and people via Alexa application. Both, Google Home and Amazon Echo have quality voice recognition, even with background noise. Although, Google Home does a fair job with customised answers based upon who is asking, once trained to recognize family members voice. Amazon Echo and Google home offer various versions. If you are looking for low end, Amazon Dot and Google Home mini can be a perfect fit. The Amazon Echo Dot might be the better choice if you are mainly purchasing it to play music. The Dot can be connected to other devices via jack or Bluetooth. While, The Home mini has no jack neither Bluetooth and can only be connected with Chromecast Audio-capable speakers. If sound quality is what you are looking for, higher end version would be better. They produce good sound in most home spaces. The fabric-covered Amazon Echo costs $100, while Echo Dot is worth $50. The Google Home is little costlier, priced at $129, and Google Home mini priced at $49. The design may play a major role in your decision as well since it is the matter of personal taste whether you like the appearance of Amazon bots or Google’s. Amazon’s Echo comes in black colour. While Google’s Home gives an option to change the colour – Grey, Charcoal and Chalk. Who wins? Well, it’s quite crafty question!! In the end, the decision of choosing one of these devices for your home comes down to features, compatibility and size. Both, Google and Amazon will keep adding more features to their bots, you should choose the one that is compatible with their ecosystem. Smart speakers are adding features all the time, making it more appealing to consumers who aren’t the “early adopter” crowd. If you’ve decided it’s time for a smart speaker, you are likely comparing Google Home to Amazon Alexa, the two most prominent brands making these devices. Is one different than another? Do they offer the same things? Before you buy, here’s what you need to know to decide which one is right for your home. 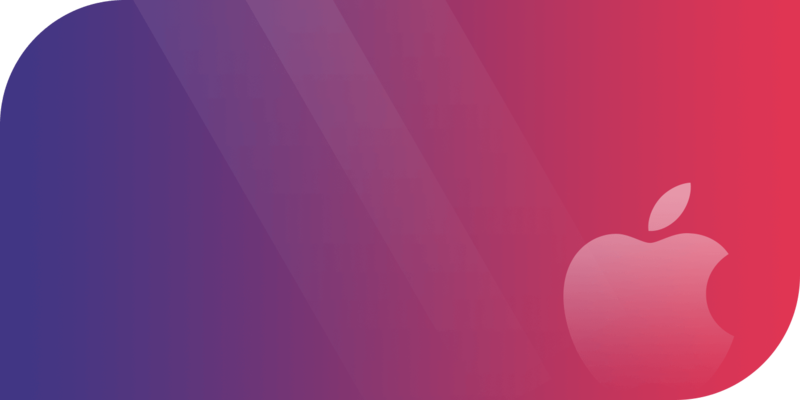 How can Let’s Nurture help you with voice-enabled technology? Let’s Nurture, a leading IT Outsourcing Company in Ahmedabad, plied its trade in custom mobile app development, Chatbot development and much more. We breathe innovation and acquire extensive experience in Google Home Skills development and Amazon’s Alexa skills development. If you wish to develop your custom Google Home skills or Alexa skills, it is not too late, share your idea and get a quote after free consultation with us.